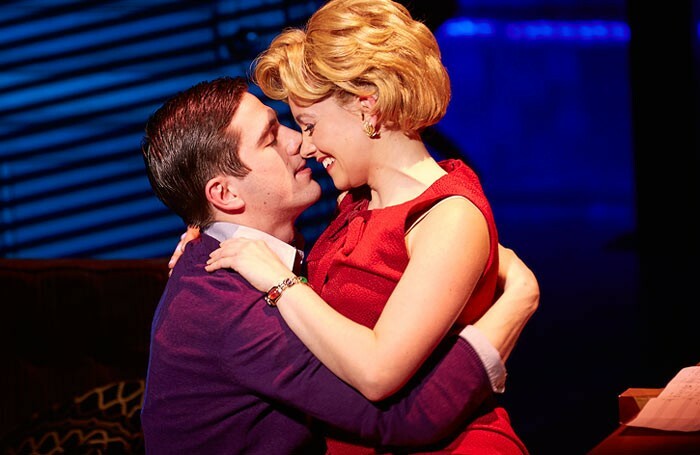 Lorna is currently playing Cynthia Weil in Beautiful: The Carol King Musical, a role she won the 2015 Olivier Award for Best Supporting Actress in a Musical. 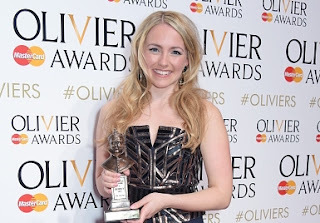 She made her West End debut at the age of 15 in Romeo & Juliet the Musical at the Piccadilly Theatre and her other credits include Footloose (Novello/UK Tour), Evita (Adelphi), Parade (Donmar), The Fantasticks (Duchess), Dreamboats and Petticoats (Playhouse), Annie Get Your Gun (UK Tour), Robin Hood (Cambridge Arts), Anything Goes (Kilworth House), Peter Pan (Manchester Opera House & New Victoria Woking), High School Musical (UK Tour), Sleeping Beauty (Bromley Churchill), Les Miserables (Birmingham Hippodrome). Television credits include: Casualty, Holby City, Doctors and I Dream (all for the BBC), Arcadia (ITV). Workshops include: The Little Prince (Savoy Theatre), Defect (Finborough Theatre), The Piper (Savoy Theatre), Bauhinia (National Theatre Studio). The show has been running for a while now, what changes have you noticed to your performance from the beginning of the run? That's an interesting question! A huge part of my job is to keep things fresh every night, as though I'm saying the words for the first time, and to tell the story in the correct way, so I've definitely found new things along the way & I'd like to think I've got better, but equally I hope that the performance has the same energy it had on opening night. If we think back to the beginning of the process, were you aware of the show before you auditioned? Once I got the call from my agent about auditioning, I did some research on the show and saw how successful it was on Broadway. I was obsessed with the soundtrack for the following weeks, & knew instantly that I wanted to be in it! 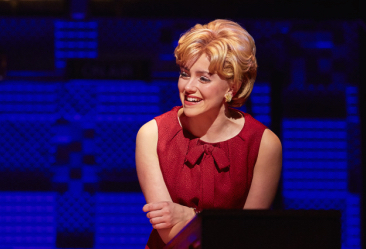 Did you meet Cynthia Weil at any point during that process? I didn't meet Cynthia until our opening night. She is such an amazing woman, and I definitely felt the nerves on press night knowing she was watching! Playing a real person is very different to playing a character, how did you approach this? Well fortunately for us, our writer Douglas McGrath had interviewed Carole, Gerry, Cynthia and Barry, so everything we needed was in the writing. Of course it's a huge responsibility portraying a real person, & I wanted to do Cynthia justice, so I researched online, & watched interviews she had done to have an overall idea about her personality and her relationship with Barry. What are your must haves when preparing for a show both in rehearsal and performance? Sleep!! Sleep and Vitamin C are a must for me in rehearsals. And the same for the show routine really. I'm also a creature of habit, so I have my pre-show routine that is literally the same every day, and it freaks me out if I do something different! After winning the Olivier Award for your portrayal of Cynthia, was there any extra pressure? I definitely felt the pressure on the Monday night performance after the Oliviers. It felt like, this is now an Olivier winning performance & I really didn't want to mess up or let people down. And on the morning after how did it feel to look at that statue?! It was just incredible. A truly magical moment in my life which I never thought could happen. I am so thankful and grateful to Beautiful and all the creative team for making it a possibility. You’ve got some new cast members coming in soon, are you excited to get to play opposite some new faces? I'm really excited to get into rehearsals again and to meet our new company! You become very attached when performing with people every night, so it will of course be sad to say goodbye to some of our family, especially ones that have been with the show from the beginning, but equally I'm excited for year 3. You started performing professionally very young, upon reflection what do you think you’ve learnt from that? Wow. Tough question! I would say I've learnt my craft I suppose. Being thrown in at the deep end and having to figure it out. 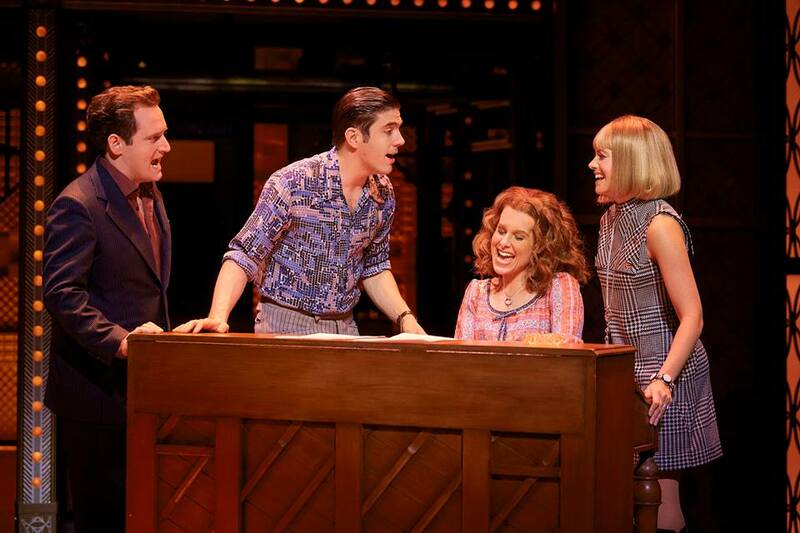 I watched more experienced actors and how they behaved, I would watch the way they delivered a line or performed a song and wonder what it was that made it so good! And I wanted to be just like them. All I've ever wanted is to get better at my craft, & I still feel that way today. And what advise would you give to you 15 year old self? I would tell her that it's ok to have a life outside of work, it doesn't have to consume you. Beautiful must be one of your career highlights due to your success in the show, is there anything else that sticks out in your head as a highlight? Without a doubt it's been a massive highlight, and one of my favourite roles to play. I would have to say Romeo and Juliet will always bring back fond memories for me as it was my first West End job and it shaped who I am today. Have you got a funny or embarrassing on stage story? A recent one springs to mind. We have tracks on the stage in Beautiful, which allow the automated set to move, & quite frequently the small heels on my shoes slip down them. One time my shoe got completely stuck, and Gary Trainor who was playing Donnie Kirshner at the time, had to help me pull it out (all during a scene) He pulled up part of the floor whilst doing so & literally came out with the best one liner, fully in character "We better get that fixed!" We were howling! Have you got any dream roles you’d love to play after Beautiful? I've always wanted to play Eponine in Les Miserables, I just love the show. And its just been announced you’re continuing on with Beautiful, but do you have any plans for the future? For now Beautiful is my main focus, and after that who knows!